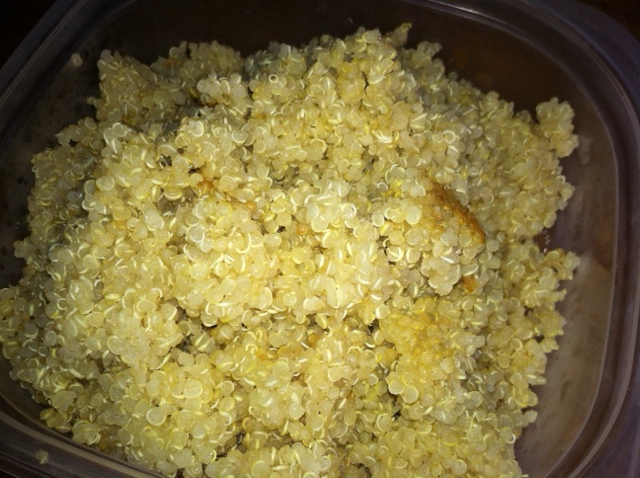 Quinoa has been a favorite staple of mine. It is an incredible versatile food and is packed with a huge amount of nutrients. 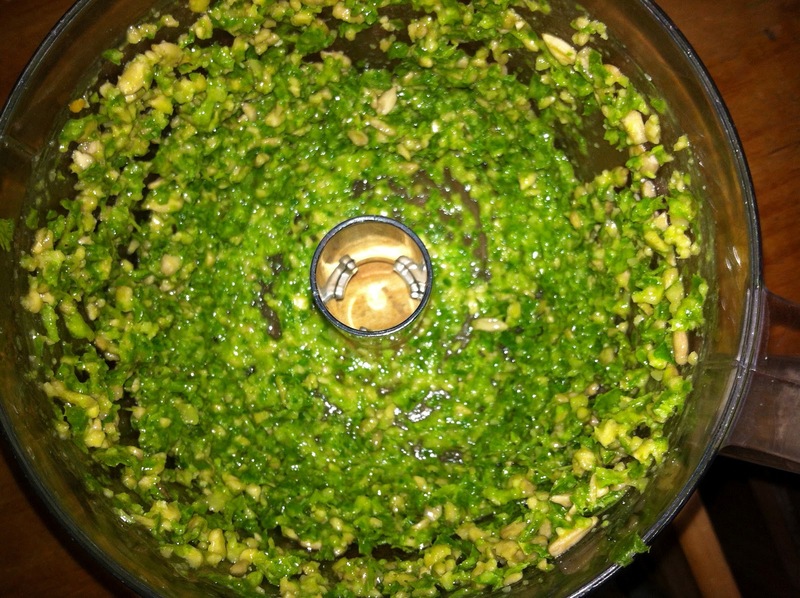 Not only is it good for you and versatile, it’s incredibly easy to make. I usually make a few containers of it earlier in the week in the rice cooker and set them in the refrigerator until I’m ready to use it. Quinoa has also replaced my pasta dish the night before a long run. It is incredibly gentle on my sensitive belly. This is incredibly easy - just choose whatever veggies you enjoy or have on hand - roast them in the oven with a bit of olive oil or coconut oil and some salt then top over the quinoa. Most of the time I don’t even warm up the quinoa if I’ve had it refrigerated because the head from the roasted veggies will warm it up for sure. Sometimes I’ll get fancy and add some broiled haddock or tilapia to it, but most of the time I just love a huge helping of veggies over my quinoa. Sometimes I add nutritional yeast on top. I enjoy making this on a Sunday and then filling up several containers of it for my school lunch. Again, it’s packed full of great food and it’s filling. Mix all of the ingredients together, split into 5 containers and lunch for the week is done! Another easy lunch, salad favorite of mine. 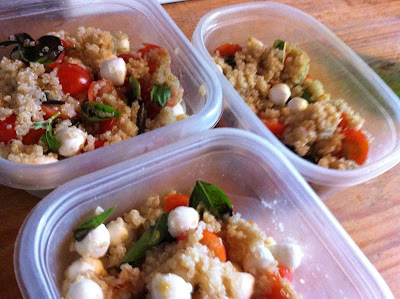 Again I like to make a bunch of this on a Sunday, separate it into 5 containers and my lunch for the week is done. Then top it over some of your favorite veggies, cheese and quinoa. Oh yum! 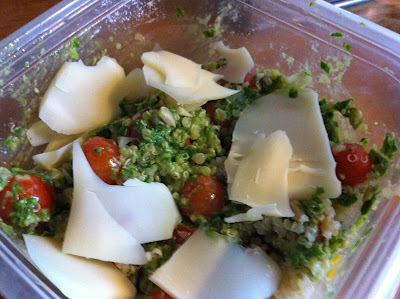 *Sometimes I add parmesan cheese to the pesto and sometimes I omit (forget). I like it both ways. If I’m craving the salty flavor that parmesan cheese adds, then I just add a bit of salt to it. Are you are fan of quinoa? Share your favorite recipes or you link here! Yum. I'm a big fan too. It's so easy to make and goes with pretty much anything. Love the idea of the pesto. I love to use it in my veggie burgers too. I always end up making way too much so I freeze it or use it in the burgers. So versatile. Great recipes! 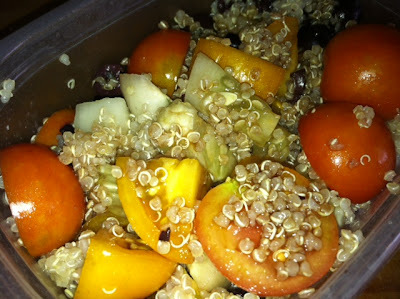 Love quinoa - it's so healthy and delicious! I have a box of quinoa waiting to be open...I've not had it before but it's something that I want to try. Thanks for all the recipe ideas! Those look SO YUMMY! Do you have these on Pinterest? I would LOVE to pin them!! So good! Ive only tried with garlic & olive oil... Will try these :) thank you! 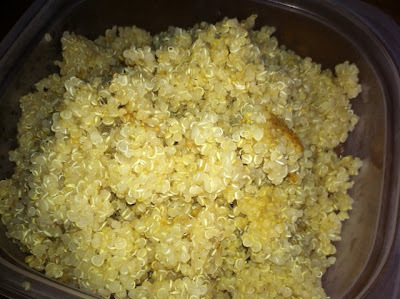 I adore quinoa, thanks for some great recipe ideas! Too bad my husband hates quinoa. The caprese one looks scrumptious! Delicious! I think I need to try the roasted veggie version pronto! Love quinoa! It's a staple in my house. I'll have to try the pesto idea. Thanks for sharing! still have never tried quinoa. must try soon. thanks for all the great ideas. have a great weekend! spa love! omg! pesto quinoa!? thats an especially amazing idea!!! spa love! Oh, yum! So many delicious ideas! I love the caprese salad option... thanks for sharing! I love Quinoa! These recipes look fantastic Jen! I've never tried quinoa! Sounds like I need to...with your recipes! Thanks for sharing! I'm pinning!!! 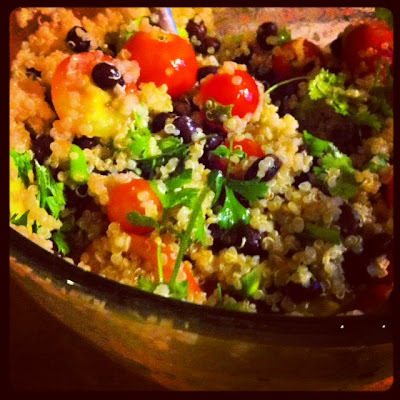 I am a collector of quinoa recipes and I love these! Those roasted veggies over quinoa looks so delicious! Pinning them for sure! Thanks! Yum!! I need to pin this for future reference! I'm a huge quinoa fan and it's so easy to use! I like the Southwestern option - I make something similar with just beans and would be so easy to add quinoa. Thanks for these! I have been looking for a good red quinoa recipe. I guess I can apply any of these, they look good - thanks.